For today I've chosen to do a topic that I believe came up sometime last year which was... Top Ten Characters You'd Like To Check In With (meaning, the book or series is over and you so just wish you could peek in on the “life” you imagine they are leading years down the line after the story ends). 1. James Potter, Sirius Black, Remus Lupin and Peter Pettigrew from J.K. Rowling's Harry Potter series. At this current moment in time, the script for the Harry Potter and the Cursed Child play has only just been published (I'm planning on writing a little bit more about that in a future post but for now I'll only say that I found it flawed but enjoyable) and we're still waiting on that first Fantastic Beasts and Where To Find Them film. However the depth of world-building and characterisation in the Harry Potter series is so brilliant that there are a myriad of potential spin-off stories that J.K. Rowling could still tell and the one that I would most want is a Marauders prequel. I had huge crushes on both Sirius and Lupin when I was a teenage girl and it would be so amazing to read about all of the Marauders' crazy antics and adventures when they were at Hogwarts! :D We'd presumably get to see the younger versions of Snape, Lily Evans, Regulus Black, Kingsley Shacklebolt, Frank and Alice Longbottom, Lucius Malfoy, etc. at the school as well and we could also get to learn more about the Marauders' work for the Order of the Phoenix. 2. Howl and Sophie Pendragon from Diana Wynne Jones' Howl's Moving Castle. 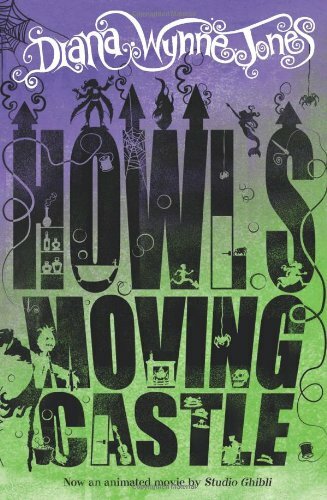 Now of course Diana Wynne Jones did in fact write two sequels to this book (Castle in the Air and House of Many Ways) in which Howl and Sophie make appearances and in which we get to learn a little bit about their lives as a married couple but, as nice as this was, it wasn't really enough for me. I can't help but wish that Jones could have written a fourth novel in the series, with a story that was once again completely devoted to Howl and Sophie's lives and adventures. 3. 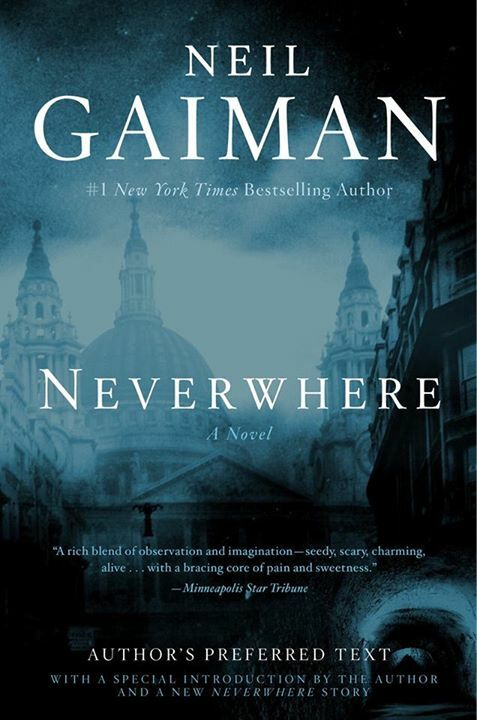 Richard Mayhew from Neil Gaiman's Neverwhere. Not only is London Below one of the most vivid and fascinating fantasy worlds that I've ever read, I'm extremely curious to know how Richard has settled down in this place and whether he's now in a relationship with Door?! 5. Shasta/Cor, Aravis, Bree and Hwin from C.S. Lewis's The Chronicles of Narnia. The Horse and His Boy is such a brilliantly exciting adventure story in the Chronicles of Narnia. Its characters are wonderful as well and I really wish that C.S. Lewis could have written an extra novel in the series that focused on them more. We could have also learnt more about Archenland and the romance between Cor and Aravis in that book. 7. Jonathan Strange, Mr Norrell, and pretty much everyone from Susanna Clarke's Jonathan Strange and Mr Norrell. I adore the incredible Regency AU that Susanna Clarke created in this book and I would love to spend more time in this world again and to find out what happened to its characters! Did Jonathan and Norrell ever manage to escape from the tower of darkness? Are they getting on better these days or are they still quarrelling as much as ever? I bet they're having tons of adventures on their travels. And what's it like in England now that magic has returned? What are Childermass and Vinculus getting up to these days? How is Stephen finding life as a king in Faerie? Is Arabella okay? And what about the Raven King? What's going on with him? 9. Margaret Dashwood from Jane Austen's Sense and Sensibility. I would love to know what happened to Elinor and Marianne's younger sister Margaret after they got married and left home! Margaret is of course a very minor and underdeveloped character in Austen's novel but I love the fact that Emma Thompson greatly expanded Margaret's role in the 1995 film adaptation and Emilie Francois' funny and adorable performance in that film. I think a love story involving a grown-up Margaret could be tons of fun! There's even a line from the final page of the book in which Austen implies that Sir John Middleton and Mrs Jennings began to switch their matchmaking attentions over to her after Marianne got engaged ('fortunately for Sir John and Mrs Jennings, when Marianne was taken from them, Margaret had reached an age highly suitable for dancing, and not very ineligible for being supposed to have a lover'). I strongly suspect that Margaret, being rather overlooked in Sense and Sensibility, wouldn't have minded these attentions towards her as much as it bothered her sisters and I really wish that Austen could have given Margaret her own story. 10. Kvothe from Patrick Rothfuss's The Kingkiller Chronicle. This is a bit of a cheat since The Kingkiller Chronicle isn't over yet and is still an ongoing series but - argh! - I need to read The Doors of Stone so badly! What turned the younger Kvothe into the world-weary, haunted man that we see at The Waystone Inn? Why is Bast so devoted to him? What's up with those giant spiders? I MUST KNOW! I love Howl's Moving Castle. I did like Castle in the Air, but wasn't fond of House of Many Ways. Unfortunately, CS Lewis didn't really do romance. "flawed but enjoyable" sums up my thoughts of Cursed Child wonderfully! Moreso than with any other book I've ever read, my mind frequently wanders to characters from the Kingkiller Chronicle - How is Kvothe doing (both young and slightly older versions)? Is Denna ok? Is Ash hurting her? What the hell is Bast up to?!? I would love a Harry Potter spin-off/prequel about Mad-Eye and Tonks in the auror office! Either a book or TV series (I have a jaunty theme tune composed already). It would be like a comedy drama with a grizzled old veteran and an eager new rookie! I can imagine the shenanigans and hi-jinks! (Example: Moody jumping out of cupboards/apparating out of thin air in the middle of the night at Tonk's house, yelling "CONSTANT VIGILANCE!" and disappearing again. Tonks trying to retaliate by changing her appearance and sneaking around but Moody always sees through it and jinxes her immediately)We could see them solving wizarding crimes together. It would be brilliant! 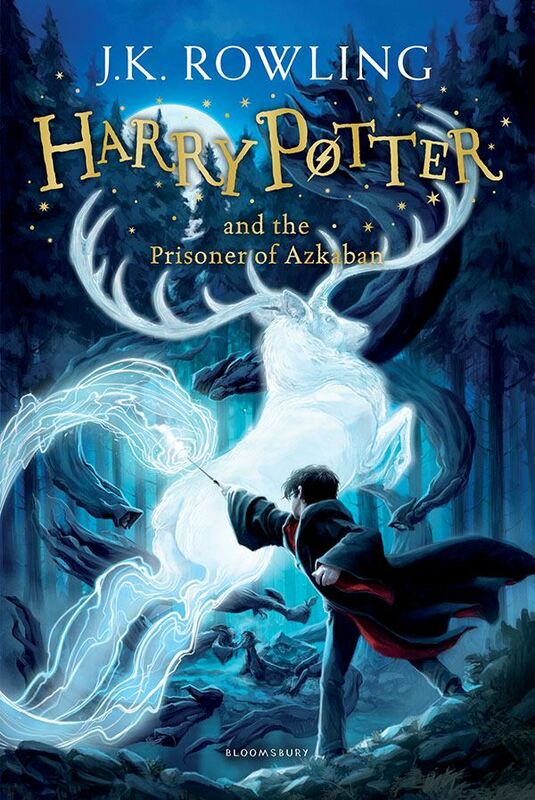 I think we'd all love a Marauder's prequel! I'd also love to see where Matilda ended up.